THEY BOTH HAVE THE BLOODY OF A RYANAIR PILOT ON THEIR HANDS AND MUCH MORE..... Ryanair reported to police by Brexit campaigners over 'Fly Home to Vote Remain' sale of flights. Ryanair reported to police by Brexit campaigners after offering ex-pats cheap flights to the UK so they can back EU membership in referendum. Ryanair has been reported to the police by Brexit campaigners after offering cheap flights to overseas voters who want to back EU membership in the referendum Vote Leave has asked Scotland Yard to investigate whether a promotion for cut-price seats to the UK on June 22 and 23 breached electoral law and anti-bribery rules. 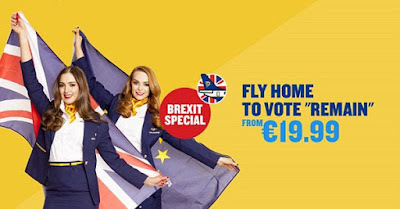 The airline unveiled the 'Fly Home to Vote Remain' sale this week, saying flights would cost just 19.99 euros on the eve of the referendum and the day itself. A press release said the sale would help more than 1.2 million Britons living abroad 'fly back to vote Remain in the Referendum'. Ryanair has been a high-profile supporter of keeping Britain in the EU. Chancellor George Osborne teamed up with former Labour counterpart Ed Balls to unveiled a new pro-EU branded plane at Stansted airport earlier this week. But Vote Leave believes the latest move could breach the 1983 Represenation of the People Act, which bans 'providing any meat, drink, entertainment or provision to or for any person ... for the purpose of corruptly influencing that person or any other person to vote'. They also think it could be against the 2010 Bribery Act, which outlaws offerng a 'financial inducement or other advantage to another person' in an effort to 'induce a person to perform improperly a relevant function or activity'. Dominic Cummings, campaign director of Vote Leave, has written to Scotland Yard demanding an investigation. 'If this conduct were lawful, it would suggest that a public house next to a polling station could offer discounted drinks on polling day with the sole aim of promoting a vote for a particular outcome in the referendum and advertise the fact of its promotion and its purpose,' he told the Times. 'That cannot have been parliament's intention ... and would allow the democratic process to be gravely undermined by the wealth, power and influence of multinational corporations which have a direct financial interest in preserving the corrupt regulatory system of the EU.' 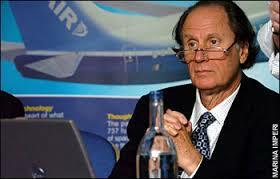 A Metropolitan Police spokeswoman confirmed it had received the correspondence and was considering it. But Ryanair chief executive Michael O'Leary defiantly said the airline would be extending its sale period until tonight. 'The Leave campaign must be getting really desperate if they’re objecting to low fare air travel for British citizens, so we’re pleased to extend our "Fly Home to Vote Remain" sale by another 24 hours,' he said. 'British citizens can book a €19.99 seat on Ryanair flights to all UK airports for travel on June 22 and 23 to fly home to vote ‘Remain’ in the Referendum. 'As the UK’s largest airline, Ryanair is absolutely clear that the UK economy and its growth prospects are stronger as a member of the European Union and the single market than they are outside the EU. 'With less than five weeks to go, we will continue to work hard to help deliver a resounding Remain majority on June 23 – and ensure that the Leave loonies don’t ban low fare air travel too!' Speaking in front of the Boeing 737 emblazoned with the slogan 'stronger, safer and better off in Europe' earlier this week, Mr Osborne mocked Brexit supporters' claims that he has been masterminding a 'global stitch up' to 'give misinformation to the British people'. 'The next thing you know the Leave campaign will be accusing us of faking the moon landings, kidnapping Shergar, and covering up the existence of the Loch Ness Monster,' he said.